Schedule inspections and let your quality control process run itself. When everyone’s on the same page, inspections get done (and you get results). OrangeQC makes it easy to schedule all your routine inspections and create a master plan for your quality control process. And you can add one-off inspections whenever there’s a problem, or when you just need an extra walkthrough at a facility. OrangeQC automatically creates a “to-do list” for your inspectors, letting them know which sites are due for an inspection soon. This helps them manage their workload efficiently and effectively. 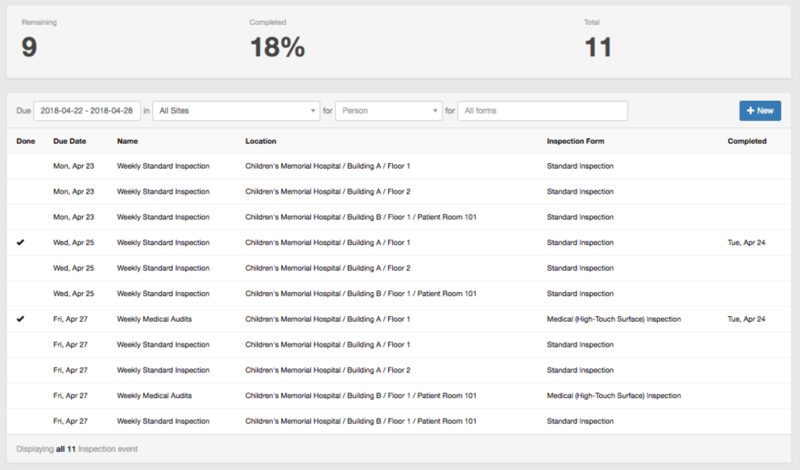 With one glance, you’ll be able to see which inspections your team has performed and whether you’re keeping pace with the schedule. You’ll have the information you need at your fingertips. 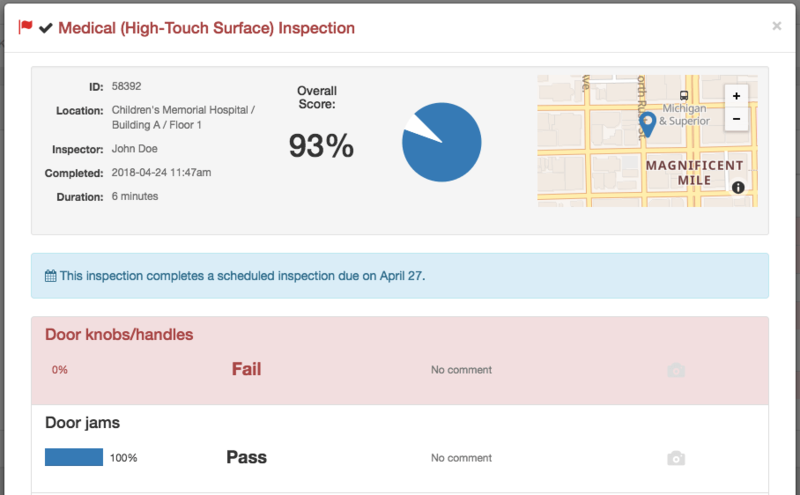 Your clients will also have the confidence of knowing you’re regularly inspecting their facilities and sharing the results.